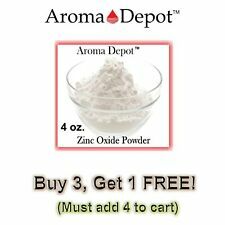 Our Zinc Oxide Powder is Pharmaceutical Grade and NON-NANO. Do you want natural, chemical-free Sunscreen, Sunblock, Deodorant, Diaper Rash Cream, Calamine Lotion, Anti-dandruff Shampoo, Mineral Make-up, Baby Powder and Acne Cream?. Avocado is the naturally, cold-pressed oil from the flesh of ripe avocado with an olive green color. 100% Avocado Oil. amounts of Vitamin A, C, and E. Avocado also has the highest protein content of. Naked Earth Essentials. Hibiscus powder, organic, soap making supplies, Natural Colorant. Chamomile powder, organic, soap making supplies, Natural colorant. Apricot Seed Powder for soaps, scrubs, gels FREE SHIPPING 1 oz. - 1 lb. Safflower powder, organic, soap making supplies, Natural colorant. Spirulina Powder, non-irradiated, organic and non-GMO. A top grade pure non modified Corn Starch / Zea Mays to add to your line. 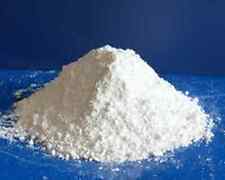 INCI: Zea Mays (Corn) Starch. Synonyms: Starch, Corn Starch, Purity 21. Pure corn starch. You'll enjoy our pure Corn Starch. Red Rose Buds & Petals, organic, soap making supplies, herbal extracts. Xanthan Gum - Food Grade - 1 oz...U.S. SELLER!!! 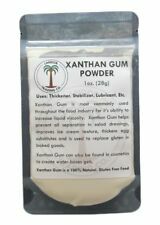 Xanthan Gum - 1oz (28 grams). Xanthan Gum - Food Grade - 2 oz (56 grams)...U.S. SELLER!!! 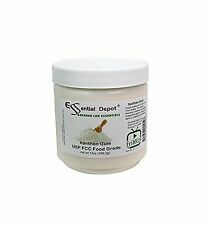 Xanthan Gum - 2oz (56 grams). Xanthan Gum - Food Grade - 4 oz...U.S. SELLER!!! Black Walnut Hull powder, organic, soap making supplies, Natural Coloring. Calendula Flowers ORGANIC - FREE SHIP (Calendula officinalis) 1 oz. - 16 oz. Alfalfa powder, organic, soap making supplies, herbal extracts. Eucalyptus Leaf (Eucalyptus globulus) whole leaf, cut & sifted, Organic 1 oz. Eucalyptus globulus Labill. Its leathery blue-green leaves are studded with glands containing a fragrant, volatile oil. The major volatile oil in eucalyptus leaf is eucalyptol, also known as 1,8-cineol. 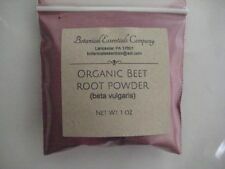 Licorice Root Wildcrafted Powdered 16 oz. Poppy seeds 32 oz papaver som..